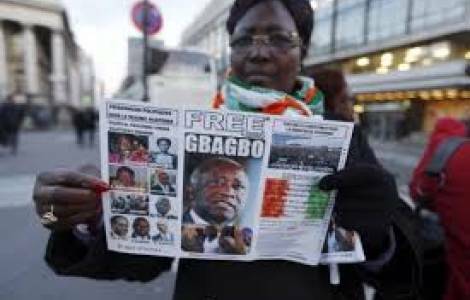 Abidjan (Agenzia Fides) - On 6 August 2018, on the eve of Independence Day, the President of the Republic of the Ivory Coast, Alassane Ouattara decided to grant pardon to about 800 political prisoners including Simone Gbagbo, wife of the former President of the Republic, detained for war crimes. "This is a political decision taken in a tense socio-political context in which almost all civil and political society insisted on the release of political prisoners in prison after the post-election violence of 2011 as a sign of genuine reconciliation", said to Fides Father Donald Zagore, Ivorian priest of the Society of African Missions. "Since 1999, the Ivory Coast has experienced division and socio-political violence - continues Zagore - starting from the outbreak of a bloody and deadly armed revolt in 2002 to the post-electoral violence of 2011 that according to the international community caused almost 3,000 deaths". "In the process of reconciliation initiated by the current power, justice was the fundamental principle on which to build this national reconciliation. Unfortunately, the Ivorian judiciary has remained in a logic of blatant impartiality, practicing the justice of winners, making it no longer an instrument of peace and reconciliation, but an instrument of injustice and division", the missionary comments. "Peace was no longer possible in such a context. The only way out was an amnesty policy with the release of all political prisoners who favored an open dialogue for true reconciliation. The appeal was unanimous, social, political and religious groups intervened in favor of the release of political prisoners.